Over the summer, my brother and I went to Cartagena, Colombia to volunteer as English teachers at Squash Urbano in August. Squash Urbano provides opportunities for children from the age of 5-16 that come from low-income families to have an education and play squash. Since my brother and I aren’t the best at squash, we stayed in the classroom teaching the kids English. It was amazing to see the attitude 0f wanting to learn that they came with to every class. Although at times it was hard to teach the students without speaking Spanish to them, I managed to find creative ways to help them understand a concept. All in all, the relationships with the squash instructors and kids is what makes me want to keep coming and helping. Going to Cartagena makes me realize how thankful I should be for all the opportunities I have by living in New York. 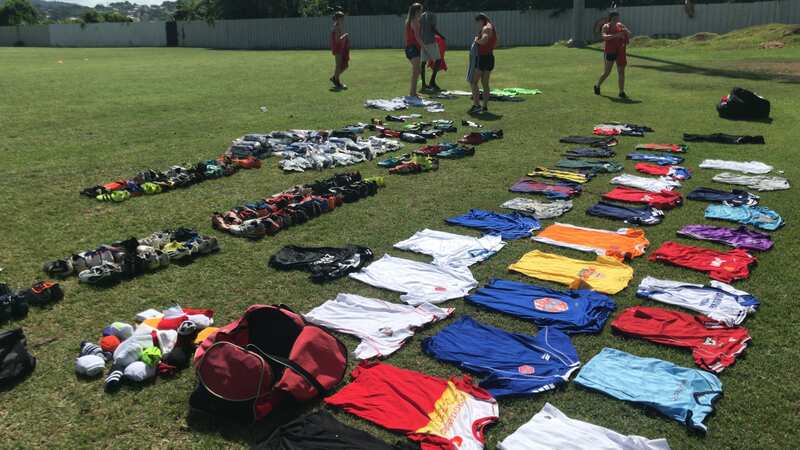 At the end of August, the boys and girls varsity soccer teams went to Tobago for our pre-season tour, tour around the beautiful country, and do service. On Wednesday, August 29th, the Friends Seminary soccer teams helped out in a soccer clinic for Tobagan kids ranging from 7-18. Even though it was incredibly hot the day of the clinic, I still enjoyed running around to completing drills with kids. After the technical and physical soccer training was done, we distributed clothing, cleats, socks, water bottles, and shin guards to the Tobagan kids. To me, seeing the smile on the kids’ smile and excitement when they received their new cleats was a highlight of the trip. Seeing how happy the kids were with their new gear made me take a second and be thankful for all the privileges I have. Hopefully Friends Seminary soccer teams continue going to Tobago and positively impact the kids there. For my YPI project, my group chose to find a non-prophet organization involving adolescent drug abuse. The organization that we chose was The New York Center for Living. This non-prophet was created in 2009, and was the first of its kind for adolescents. When my YPI group and I visited The New York Center for Living, they were all so nice with us and it seemed that the community there was very welcoming. Jared Morgenstern, a counselor at the The New York Center for Living, showed us around the beautiful facilities. In addition to the tour, we were able to sit down with him and ask him some questions. Something that he told us about adolescent drug abuse is that, “This is an epidemic that affects many adolescents and needs to be recognized and addressed. There needs to be more widespread Discussion.” Overall, the trip to the New York Center for Living was eye opening and made me really understand the issue of drug abuse among teenagers.